A Moment in Time Videography Professional videographer who can meet all your video needs. Weddings, Anniversarys, DVD transfer, and corporate video production. No moment or event is too large or small. .
place it on your favorites list today! 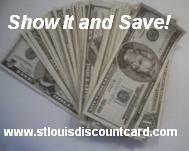 Questions and comments regarding this web site should be directed to webmaster@stlouismarket.com. All Content and Trademarks are property of their respective owners. St. Louis Market is not responsible for links and other websites content. Copyright (c) 2016, St. Louis Graphics & Design Company.